Apple Inc.’s iPhone comes with HD quality camera that helps users capture photos and shoot videos in a way that is easy to understand and effective for non-professional uses. These days, iPhone becomes more affordable and it is very common that nine out of ten mobile phone users are using iPhone. Among various mobile phone devices, iPhone stands out when users take photos or shooting videos with phone’s camera. iPhone’s easy social media share buttons make it a favorite for selfie fans plus those who simply want to memorialize their experiences in photos or videos. With the help of iPhone model, videos shooting becomes much easier and the video output is terrific. Sometimes however, you may find these video recordings on your iPhone are recorded in vertical orientation while you need them to be horizontal or vise versa. This happens during video capture more often than you think, and while there’s absolutely nothing wrong with choosing not to re-orient your iPhone to shoot sideways, the results can often be pesky. Consequently, you need to figure out how to fix the orientation problem after uploading recorded videos to social networks, and discovering the video shows sideways online even though it plays perfectly on the phone. On the iPhone, this is typically an effect of recording in portrait mode and while the videos can still be viewed by anyone, the large black bars that show on the sides of the screen could sacrifice viewing pleasure to some extent. Thankfully, with a little effort you can rotate these movies directly either using iMovie on your iOS device or by using Leawo software on your PC or Mac computer. In a few clicks, you can convert a horizontally oriented video to preferred vertical orientation or vertical to horizontal as the case may be, and even do a complete flip to make the iPhone videos upside down. Here, we will look at two simple ways to rotate iPhone videos. 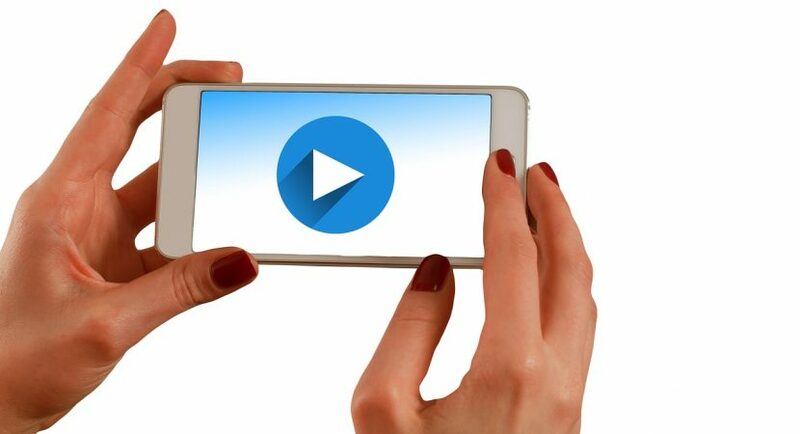 Please note that these methods work for all video types that can be viewed on an iPhone. On one hand, we can directly rotate iPhone videos on iPhone by making use of iMovie for iOS. New iPhone and iPad devices, come with the iMovie App pre-installed with the newer iOS. If you are a 6th generation or later iPhone user (that is, you have iPhone 6, 6s, 6/6s plus, 7 or 7 plus), you can simply use the free iMovie app to rotate or flip your video in several steps. However, if you have an older iPhone model (iPhone 4/4s/5), you have to download iMovie from the App Store and pay for it. This application will set you back $4.99, which might seem a little bit expensive for a one-time use but it is a handy app that can be used for premium streamlining and editing of any footage. Once you have the iMovie app on your phone, the process is easy and direct. You can run the app on your phone and then open any video you’d like to edit from your Photos App gallery and create a new movie project in iMovie. How to rotate videos on iPhone? Using the viewer in iMovie, you can rotate individual clips or the whole video in any direction by moving your thumb until the white arrow appears and then in a clockwise or counterclockwise motion for 90-degree rotation of the video each time. The app has a screen wizard that will guide you through if it’s a newly installed/updated iOS. Then, you can export or share your rotated video in any resolution you desire up to 1080p. See? It is easy to grasp how to rotate a video on iPhone with iMovie. On the other hand, some might find rotating and editing videos directly on iPhone has some limitation while computer software could bring some convenience. Therefore those people would look for ways to edit and rotate iPhone videos on computer. Mac users can stick to iMovie on their iMac or MacBook for rotating and editing iPhone videos as Apple provides iMovie for macOS. As opposed to Mac users, who have access to iMovie for their computers, there is no iMovie available for download on Windows PC and Microsoft’s version of iMovie, Windows Movie Maker, does not support iPhone videos. We need to look for a professional video editor to edit and rotate. Leawo Video Converter is exactly what we are looking for. 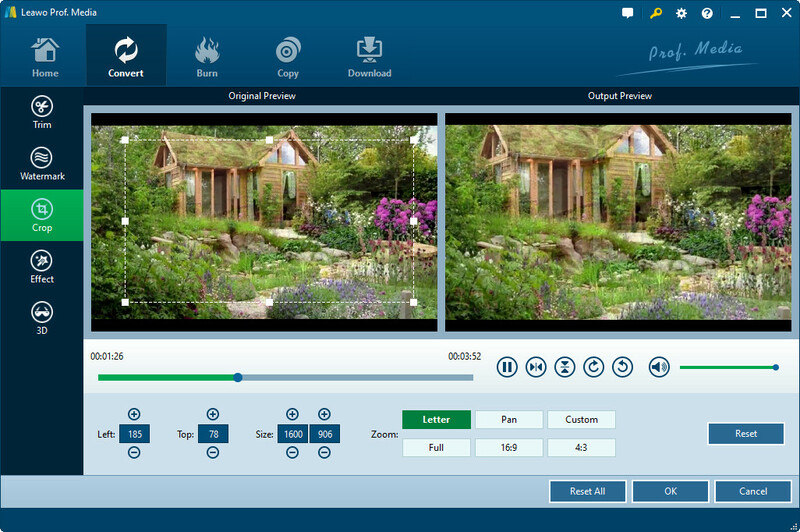 This professional video editor from Leawo Software allows people to edit trim video length, add video watermark, crop video size, adjust video effect, and create 3D video. Besides, users can horizontally, vertically flip video clips, and 90 degree clockwise or counterclockwise rotate video clips. 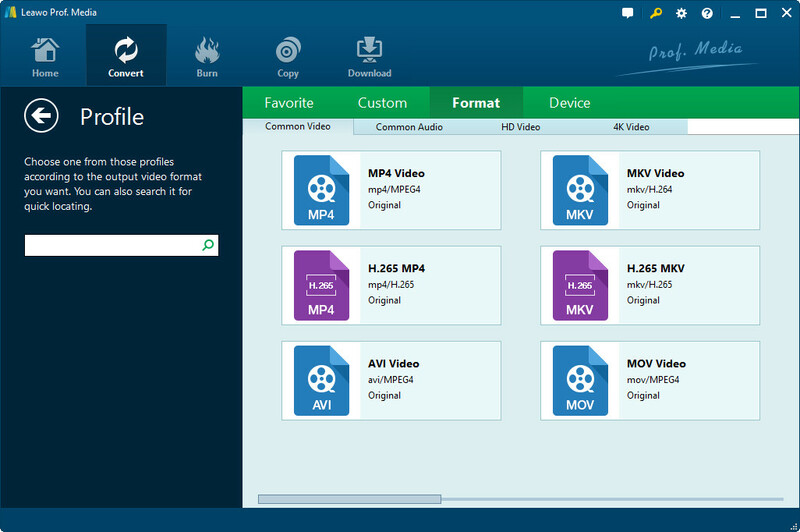 Moreover, just like its name, Leawo Video Converter can also help users convert video/audio files from one format to the other format, for one format to mobile devices, etc. All these can be easily operated as the program interface of Leawo Video Converter is user-friendly. Download and install Leawo Video Converter on your PC, and kick off the program to get ready for iPhone videos rotating. The program has a Mac version. Mac users need to switch to Leawo Video Converter for Mac. Before we rotate iPhone videos, we need to transfer video files from iPhone to computer. There are many ways to achieve that. 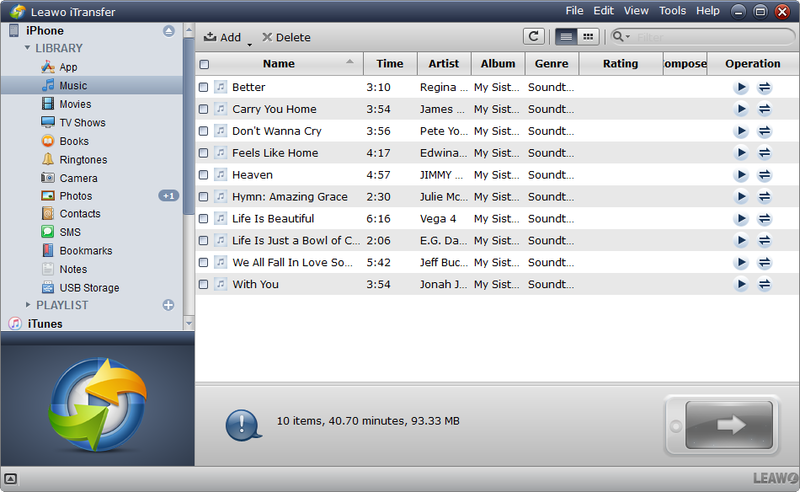 For example, you can make use of iTunes. Here I am to recommend a program also from Leawo Software, namely Leawo iTransfer. As a professional iPhone video to computer transfer program, Leawo iTransfer makes it easy to transfer iPhone videos from iPhone to PC. 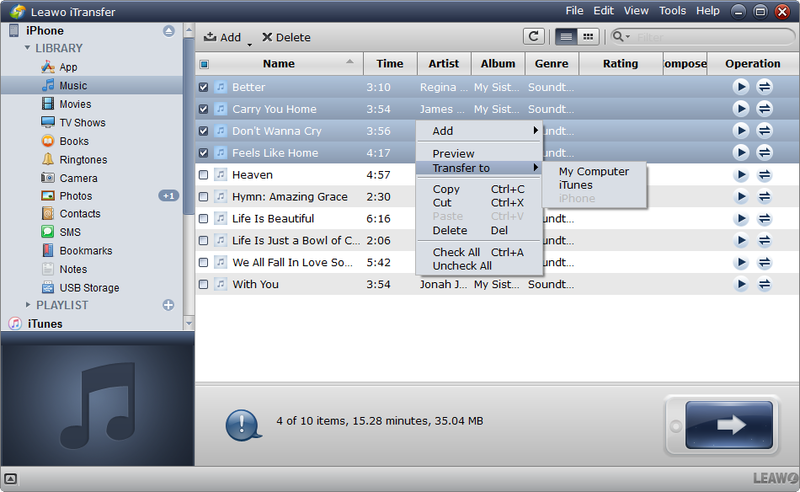 Like Leawo Video Converter, Leawo iTransfer has Mac counterpart as well. Download and install the right version of Leawo iTansfer on your computer, and then kick off the program to transfer videos from iPhone to computer. Both those programs provide a free-trial version. Users can try them out before deciding whether or not to purchase the registered version. The paid version of Leawo iTransfer costs $19.95, and Leawo Video Converter costs $29.95. The UI of Windows version is nearly the same as that of Mac version. Below I take Windows version of Leawo iTransfer and Leawo Video Converter as an example to show you how to rotate iPhone videos. Connect your iPhone with PC via a USB cable. Once you connect your iPhone, with Leawo iTransfer running on, Leawo iTransfer would recognize the device and allow you to view your iPhone content on the left side of the program interface. Choose a library from the left sidebar and look for the iPhone video or videos you want to rotate, then select, right click and click on “Transer to > My Computer” to transfer iPhone videos to computer. You will be prompted to select a folder to contain iPhone videos. Swich to the main interface of Leawo Video Converter on which you need to click “Add Video” on the top-left of sub-menu tab to load all the videos you want to edit in the viewer. From the viewer, click the video roll and pencil button to the right to enter the internal video editor where you can edit and rotate iPhone videos. In the video editing screen you will see a few options of how to edit your video. Leawo Video Converter has the following edit functions on the left side bar: “Trim”, Add “Watermark”, “Crop”, “Effect” or “3D”. Choose “Crop” and then you can see your video on the preview screen and the new output preview. On the crop menu bar below the output preview, you can select any of 4 buttons to “Flip” the video vertically or horizontally or “Rotate” 90 degree clockwise or anti-clockwise. After completing video flipping and rotating, you need to click “OK” button to save your settings. Once “OK” button on the internal video editor is clicked, you will be returned to the main interface of Leawo Video Converter where you could choose your preferred format from the output profile panel that include the popular formats, .MOV, .MP4 or .MKV. Click “MP4 Video” button on the left side of the green “Convert” button to pop up a drop-down box where you need to click “Change” button to enter the output profile panel. Besides, you could set detailed video and audio parameters as well if “Edit” button is clicked on the drop-down box. After setting output profile, you will be returned to main interface again, and you need to click the green “Convert” button to save or export final iPhone video in your preferred format. Please take note that before conversion process begins, you are required to choose an output directory. Many users might think the latter way is much more complicated than the former one. However, the second way allows you to edit iPhone videos in many aspects. It is up to you to choose which way to rotate iPhone videos. Enjoy!